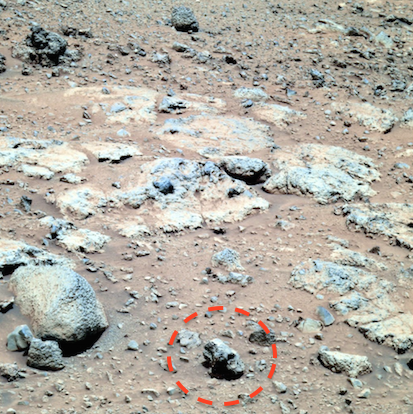 UFO SIGHTINGS DAILY: Ancient Skull Found Near Mars Spirit Rover, Sign of Solar Explosion, March 2016, Photos, UFO Sighting News. 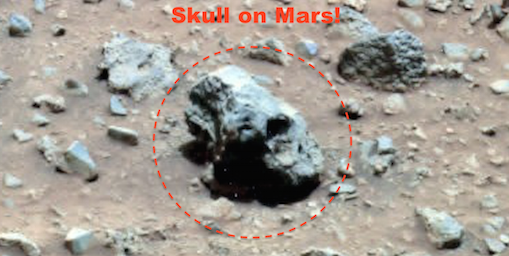 Ancient Skull Found Near Mars Spirit Rover, Sign of Solar Explosion, March 2016, Photos, UFO Sighting News. 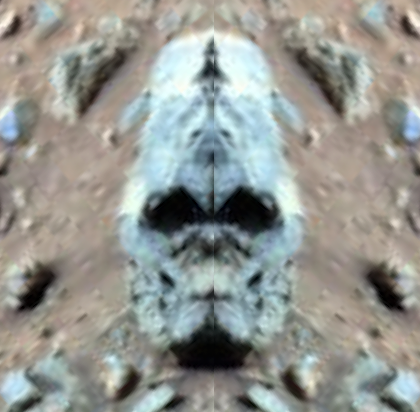 While looking through some old Spirit rover photos, I came across a skull tilted over on once side. The other side is hard to see due to shadows, so in the above photo, I copied half and flipped it over so we could see its full face. Its a skull for sure. The eye sockets really make that clear. Also the top of the skull has a rectangle like hat or crown attached to the skull. Notice also that the skull seems to be coated with a thin blueish material...perhaps from the suns solar explosion that NASA said occurred billions of years ago.